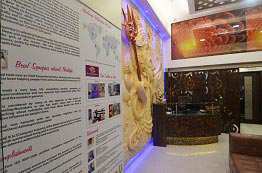 Rudraksha Ratna has its presence in the City of Pearls, Hyderabad. Those looking to shop for spiritual Rudraksha in Hyderabad and attain spirituality can get in touch with us at the below given address. A Rudraksha is generally used as a prayer bead since ancient times because of its organic nature and is strung together in usually in thread with no contact with metal elements (however the design patterns have changed lately). Rudraksha and Gemstones also benefits those who are consistently. 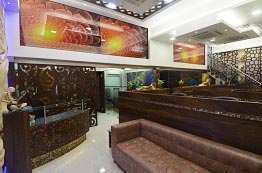 In a city as big and bustling with activity as Hyderabad it is a normal for people to travel a lot and eat out. By wearing a Gemstone or Rudraksha necklace the wearer can shield their energy and prevent the onslaught of external negative forces or energy. The mala made from Rudraksha beads has its therapeutic properties and are used by seasoned meditators to practice meditation. Some of the healing properties of Rudraksha and Gemstones are in controlling stress and tension, regulating blood pressure, curing insomnia, headaches, knee/ankle pains, migraines, digestion problems, depression, etc. Founded in 1997 the aim of Rudraksha Ratna was to advocate and inform about the merits of Rudraksha to people who were reluctant to buy it as they were not aware about its benefits. We at Rudraksha Ratna not only present our customers with authentic Rudraksha but also communicate with them and ask them to share their experiences before and after using Rudraksha products. We then implement their experiences in our study on product development. 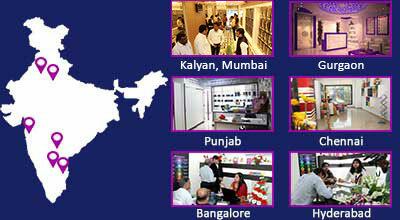 We also showcase our products at several cities in India as well as in foreign nations. 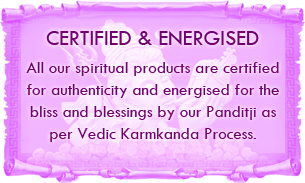 We also deal in other spiritual items including Gemstones, Yantras, Parad, etc. 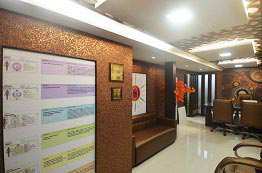 Rudraksha Ratna developed the Rudraksha Ratna Science Therapy with the help of its Chief Executive Director, Neeta Singhal. It is the science of functioning of spiritual items such as Rudraksha and Gemstones as well as their uses. It was implemented only after extensive research. A session on their troubles helps the counselor to understand the cause of their problem and thereby suggest the suitable gem for them. Neetaji came up with this remedy after years of research including perusing the Puranas and Upanishads and understanding the healing prowess of the gems and beads. Her study also included communicating to her clients and asking them their experiences of using Rudraksha items. An individual’s psychological and emotional blocks, and the effects of planets are calculated and an appropriated gemstone or Rudraksha is advised to them. 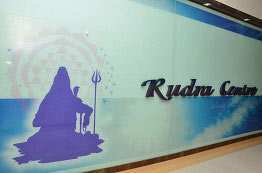 With Rudraksha Ratna now in Hyderabad, people can shop for Rudraksha and benefit from the Rudraksha Ratna Science Therapy. 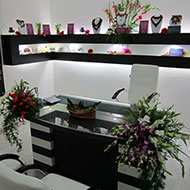 Select the Gemstone that takes care of your problem and know how and when to use them. 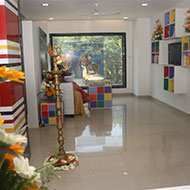 Rudraksha Ratna regularly holds workshops on meditation and chakra awareness. Contact us to attend out Chakra Yog Workshops. In addition to her educational expertise, Dr. Goverdhanam Vani also has an experience of over 15 years in Ayurveda as well as 10 years in yogic therapy. She is a Chakra Yogi who follows Rudraksha Ratna Science Therapy (RRST). She is also a proficient counselor with immense knowledge in Panchakarma Therapy in Ayurveda and has carried out many Ayurvedic as well as Yoga medical camps in Bangalore / Hyderabad. She has also handled techniques like Nutritional Management of Diabetes, Yoga for increasing I.Q. 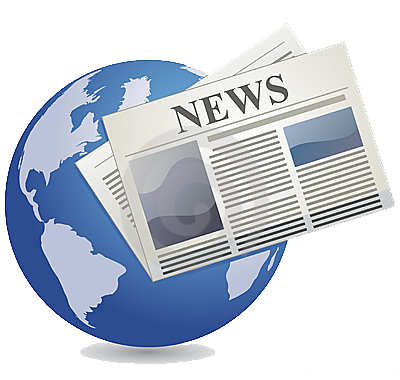 levels in Kids, Yoga for decreasing Obesity and Stress Management.